Shopping for a wedding dress, no matter how stressed the bride may feel, should be a wonderful and memorable experience. If she's lucky enough to have the support of her bridesmaids and family than there should be (hopefully) plenty of loving and supportive feedback. 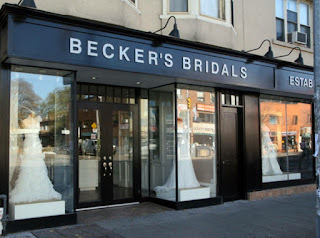 In a city as large and diverse as Toronto there is no shortage of wedding dress shops, boutiques and outlets to choose from. However, the deciding factor on where to start shopping will almost always reflect the brides budget. Today we've compiled a list of wedding dress shops that we highly recommend you try before saying your final YES to your chosen dress - if only for the experience. Every bride deserves to feel like a real life princess and all of the shops listed below go out of their way to provide endearing, helpful and elegant service. A self proclaimed "intimate boutique" Sash & Bustle lives up to their endearing reputation with a carefully curated collection and beautiful accessories to match. 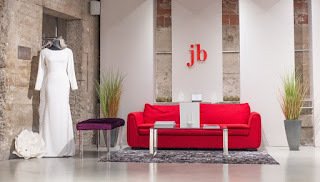 Their dresses are every bit as stunning as their Instagram account and their boutique offers a memorable and loving experience for all lucky enough to visit. 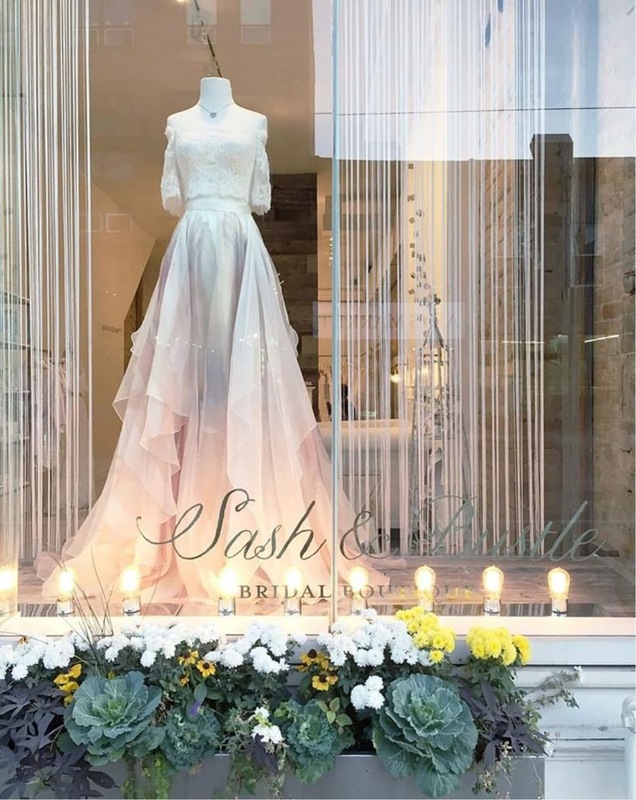 The epitome of elegance, this one-of-a-kind designer salon is sought after by one-of-a-kind brides craving the newest in impossibly exclusive bridal fashion. Their operation is run by highly trained professionals with on site tailors who have perfected their craft. White also offers a luscious Bridesmaid loft on the third floor where your party can privately view straight off the runway bridal party fashion. High class and quality, a must visit. 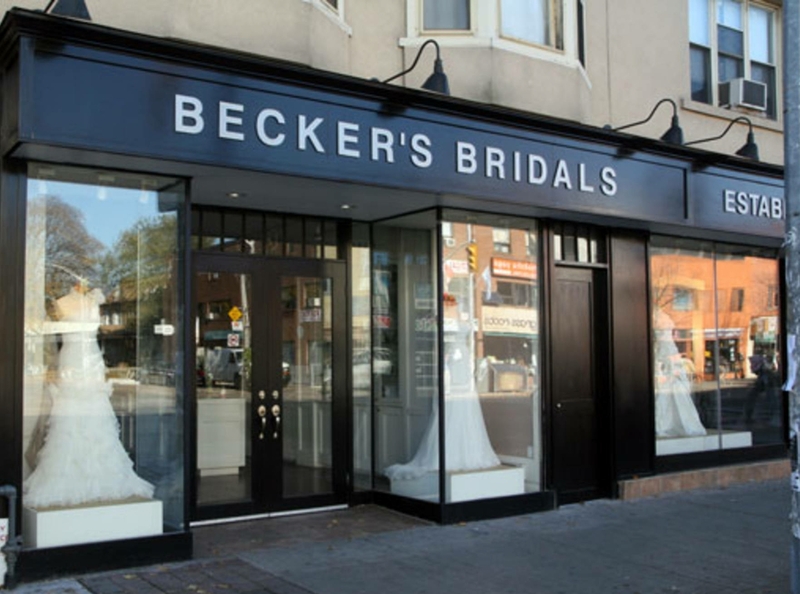 Just before Christmas in 1944 Beckers Bridal opened their doors on the Danforth and since then, the rest is bridal history. 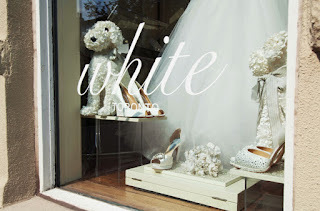 As the oldest bridal shop in Canada they have plenty to offer and as a family run operation since its inception decades ago, they offer both knowledge and loving warmth to all who cross their doorway. They run 7 days a week and if that's not dedication we're not sure what is. This all encompassing salon is already winning with their incredible name. I'm betting we all know a jealous bridesmaid or two, am I right? 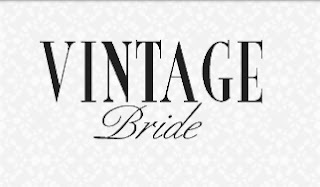 Located on Bloor, Jealous Bridesmaids offers a wonderful selection of bridal gowns and accessories plus bridesmaids dresses and selections for Mother's of the Bride/Groom. Their large and spacious showroom allows room for you and your jealous entourage to roam freely. Highly recommended. Currently situated in a trendy Toronto neighbourhood, The Annex proves to be a wonderful home for this highly endsored bridal salon. 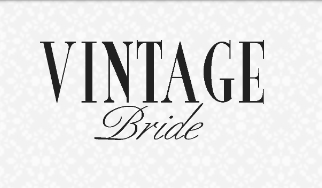 Vintage Bride boasts roughly 300 gowns dating all the way back to Canadas Confederation in 1867 up to the 1990's. All of their pristine gowns and accessories have been hand picked and preserved in high quality by their outstanding staff. We're sure that if wedding dress heaven exists, it's in The Annex. A social enterprise that runs solely on volunteers with a mission. 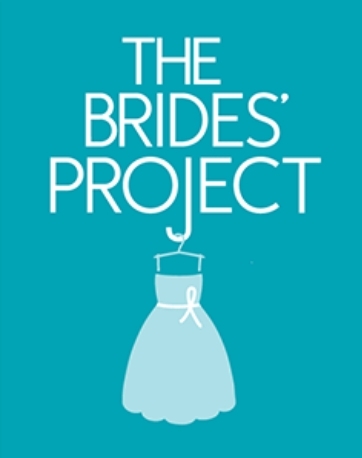 The Brides Project accepts donated wedding dresses and accessories from brides, bridal salons and designers to re-sell to brides to be on a budget, donating 100% of the profits to various cancer charities. This is an example of true sisterhood at its finest and quite frankly it makes us emotional. Bravo to the organizers, volunteers and donor's! 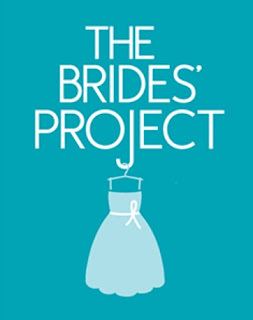 If you or someone you know has wedding dresses or accessories to donate click here for more information. A staple in the bridal world we all know Kleinfelds from the loveable show 'Say Yes to The Dress'. While the show films in the U.S The Hudsons Bay Company in Downtown Toronto opened up a few years ago to a very excited Canadian bride population. With a bevy of designer dresses and beautifully crafted accessories Kleinfelds has whimsical options around every corner of their lavish showroom. 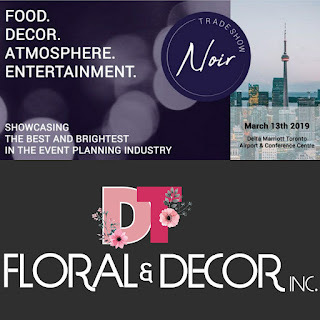 A new style of event tradeshow, Tradeshow Noir is premiering March 13th, 2019 in Toronto. You'll find everything from wedding furniture and decor rental to performance artists, DJ's, the newest technology in event lighting and much more. Everything you'll see, sit on and experience will be available for you 2019 wedding or event. Visit www.tradeshownoir.com for more I formation and to get your tickets. If you're a bride to be in Toronto or the GTA there is no shortage of wedding shows and tradeshows to kick start the planning process for one of the greatest days of your life!! Today we've compiled a list of upcoming wedding shows in the new year for Toronto brides and their agreeable grooms. Tickets for these events are sure to go quickly so click on the link to reserve yours today!! A wedding show specifically catering to the modern South Asian bride and helmed by the wildly successful magazine publication this show is a staple in South Asian culture. This year the show will feature more vendors than ever before at the opulent Liberty Grand Entertainment Complex in Toronto. Toronto Event Planners, Wedding Planners & Event lovers alike are in for a real treat this March Break. Introducing Tradeshow Noir, Toronto's newest Event Prof show this year that's making a big impression on exhibitors and attendee's alike. The concept is this; noir setting, experiential elements, extraordinary designs, activations, live entertainment and exciting new event products for every type of celebration while offering both exhibitors and attendees a huge ROI. The best part of Tradeshow Noir - the way their giving back. Noir's extensive prize list ranges from a trip for 2 to luxury car rentals and a plethora of gift certificates valid for each of the vendors. Noir's getting a big boost from industry giants like DT Floral & Decor who are taking a chance on a brand new show developed by longtime industry proffessionals who saw room for a change in wedding and event expo's. Well, Halloween's practically over so it's basically Christmas and we all know what happens in between Christmas and Valentine's Day,...Engagement season is soon to start!! Better half's all over this great city are gearing up to pop the question while the lucky people in waiting secretly have their entire wedding already planned out. But do you? Have you really considered all of the options available to you? 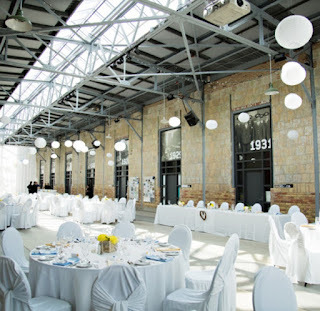 Yes, Toronto weddings can be pricey to say the least but let it be known there are stunning venues and hidden gems for any price point and couple. Today we've compiled eight stunning venues for any price point in the big smoke. Once a transit facility and hub of industrial activity this space has been transformed into a tranquil arts space boasting lots of light, love and artistic inspiration. Perfect for an artsy couple.